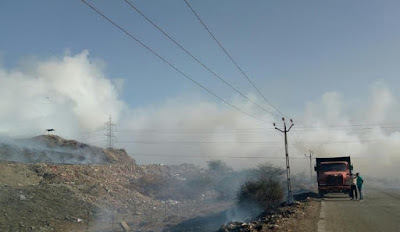 In a ruling of far-reaching implications, not just for Surat but also for Ahmedabad, the National Green Tribunal (NTG) has asked the Surat authorities in South Gujarat to take a decision and “issue work order for commencing the work of closure of Khajod open dumping site within one month”, even as start working on the action plan for scientific disposal of solid waste. Located in the coastal zone of Surat, Gujarat’s second biggest city, which has turned into a major business hub in western India, Khajod has turned into a major cause of pollution, affecting around five lakh people, says MSH Sheikh, a well-known environment expert, who has been campaigning against the site’s existence for the last several years. According to available estimates, Surat city generates a total of 1,600 metric tonnes of solid waste per day, all of which is dumped at Khajod. A private company, which was given the contract to “handle” the solid waste, says the expert, never cared to do it in a scientific manner. The result is, as of today, more than 40 lakh metric tonnes of solid waste has gathered at the site. The NGT ruling comes amidst increasing concern not just in Surat but also in Ahmedabad, whose outskirts have a major dumping site with similar characteristics. Situated near Pirana village, it adversely affects lakhs of people living around the spot. Worse, set up in 1980, a 1989 Gujarat government notification had said, the dumping site should be disbanded and shifted “within 20-25 years”, which meant it should have been removed by 2005. “Yet nothing has been done for this, Insaf Foundation, a local NGO campaigning against the Ahmedabad MSW site, says. 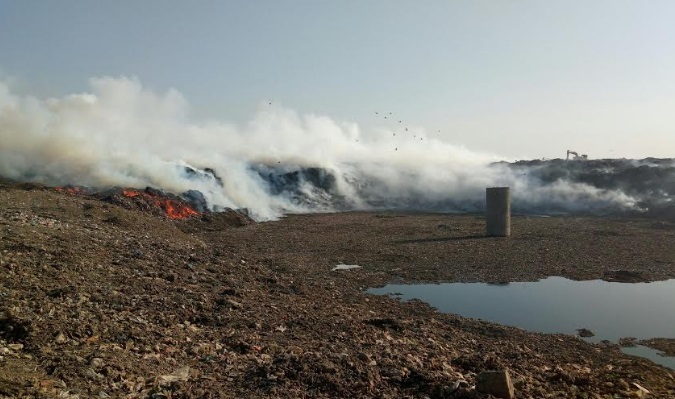 The NGO quotes an Indian Institute of Technology, Kanpur, study to say that there are as many as 35 poisonous gases emanating from the Pirana solid waste site. Another study by the St Xavier’s College, is quoted as saying that the pollution level around the site is twice as much as the rest of the city. 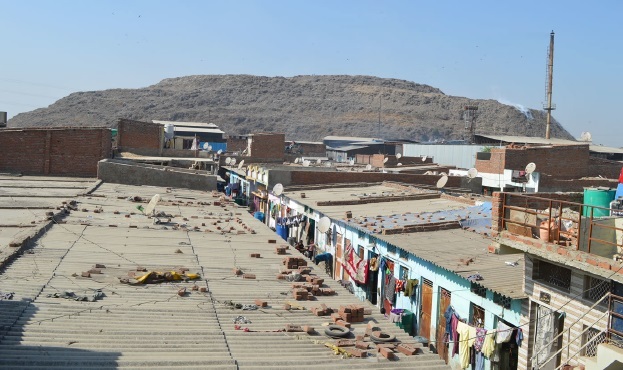 “As a result of this, the death rate among the residents of the area is much higher. Women complain of premature abortion. The water pollution because of the site has also led to higher incidence of kidney failure, acute asthma cases, heart failure, and so on”, Insaf’s Kalim Siddique, who has prepared a profile of individuals suffering from the diseases, says.